Susan’s other occupation is being a musician! This was a huge UX challenge. 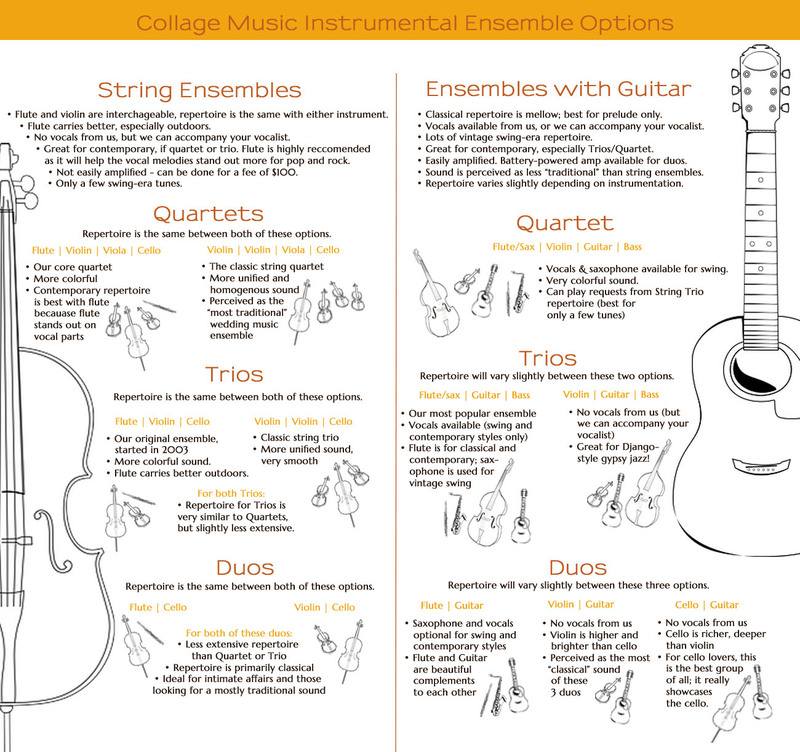 We wanted to give Collage Music’s clients (usually brides who are not musicians) the clearest possible picture of the entire process of hiring live musicians, what the various instrumental combinations are, and how they sound as compared to each other, and more. 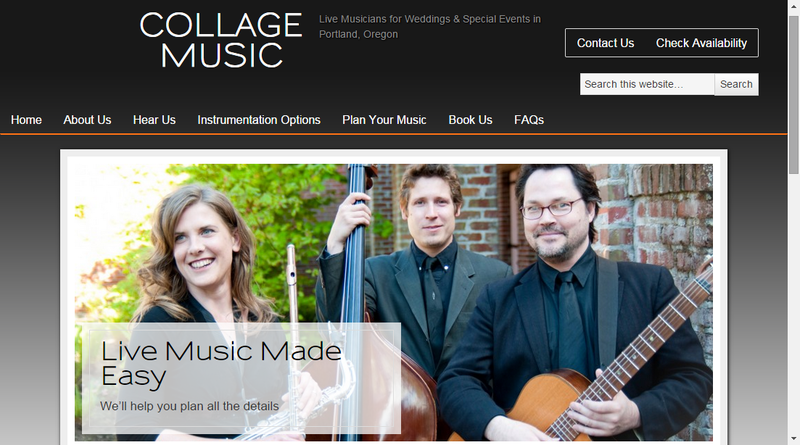 Clients often comment that the site is extremely helpful in this regard, so I think we pulled it off. See for yourself here. This entry was posted in design, development, user experience. Bookmark the permalink.